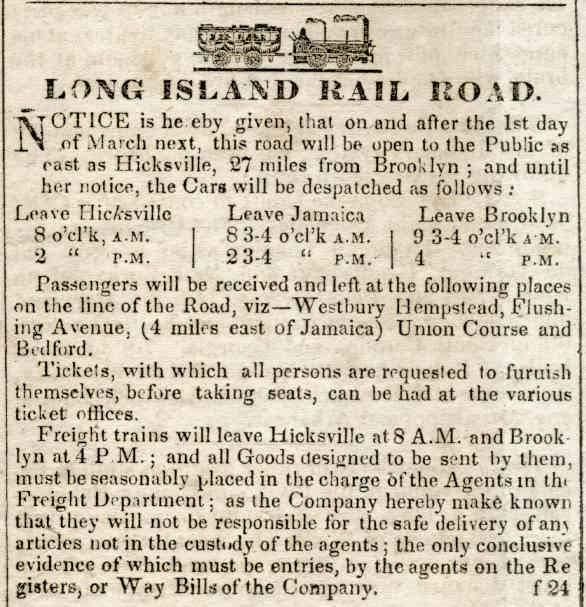 RAIL ROAD EIGHT MILES EAST OF SOUTH FERRY BROOKLYN. 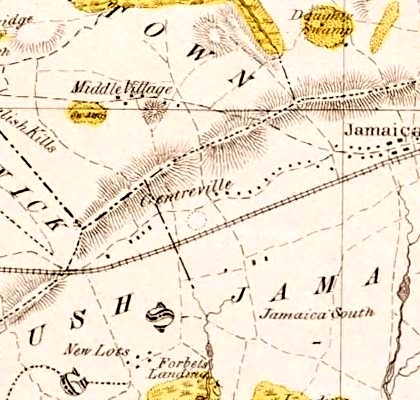 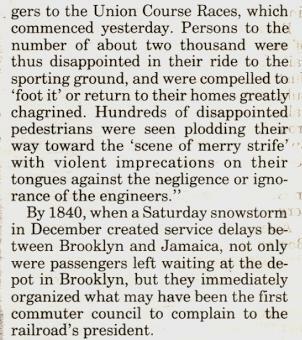 WHICH DISRUPTED SERVICE TO UNION COURSE ON MAY 3, 1836. 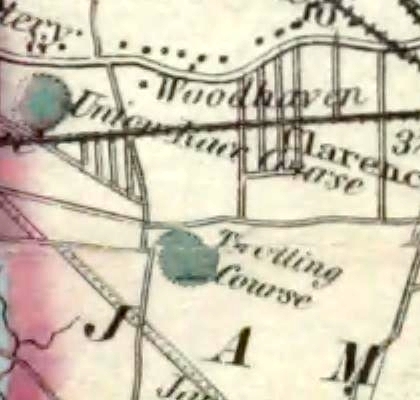 Later, Woodhaven became the site of two racetracks: the Union Course (1821) and the Centerville (1825). 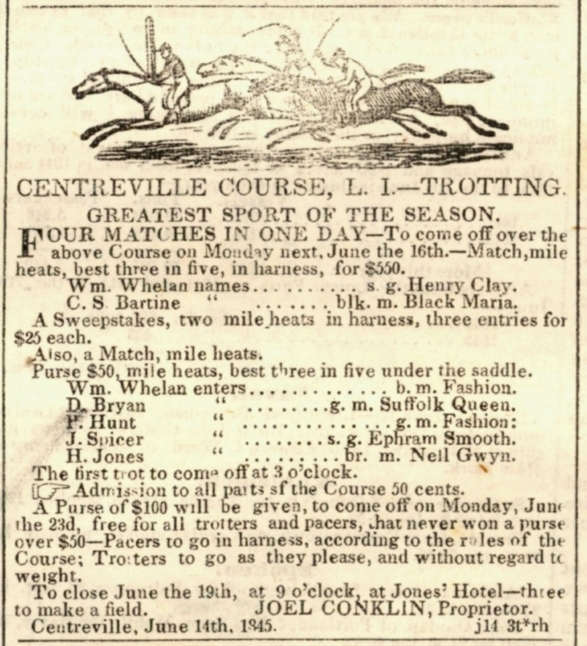 There was a trotting course formed in 1825 at Centreville, a mile southeast of the Union course. 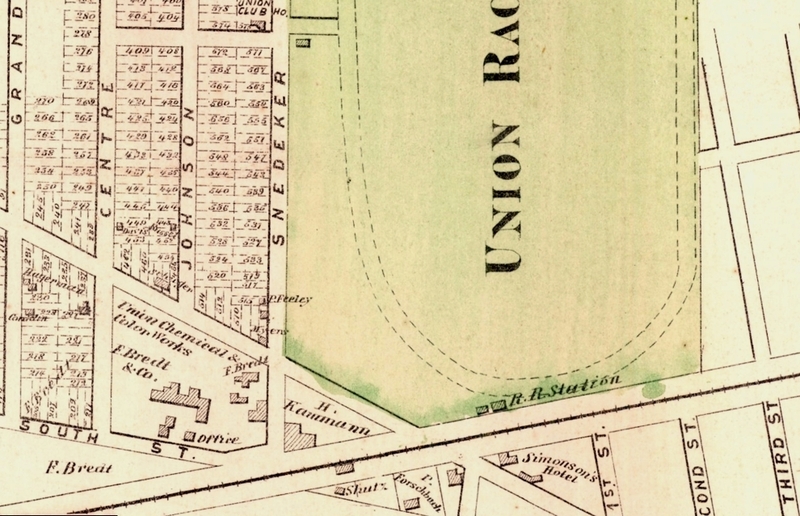 Union Course was a nationally famous racetrack situated in the area now bounded by 78th Street, 82nd Street, Jamaica Avenue and Atlantic Avenue. 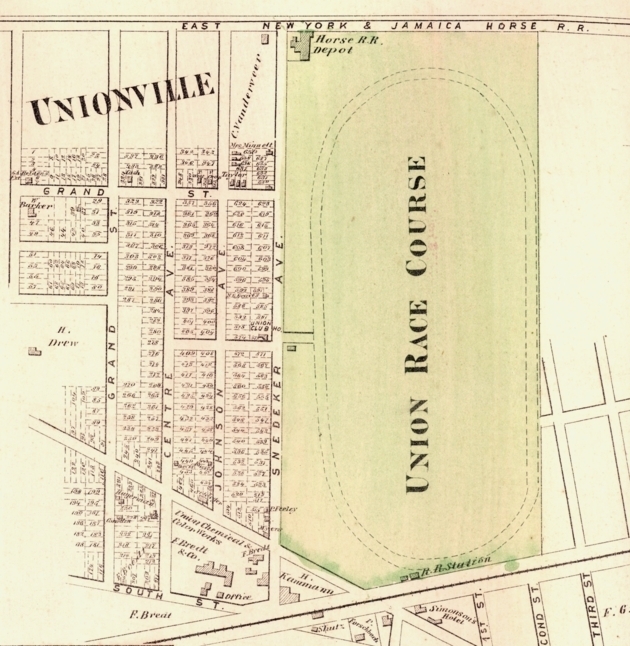 The Union Course was the site of the first skinned — or dirt — racing surface, a curious novelty at the time. 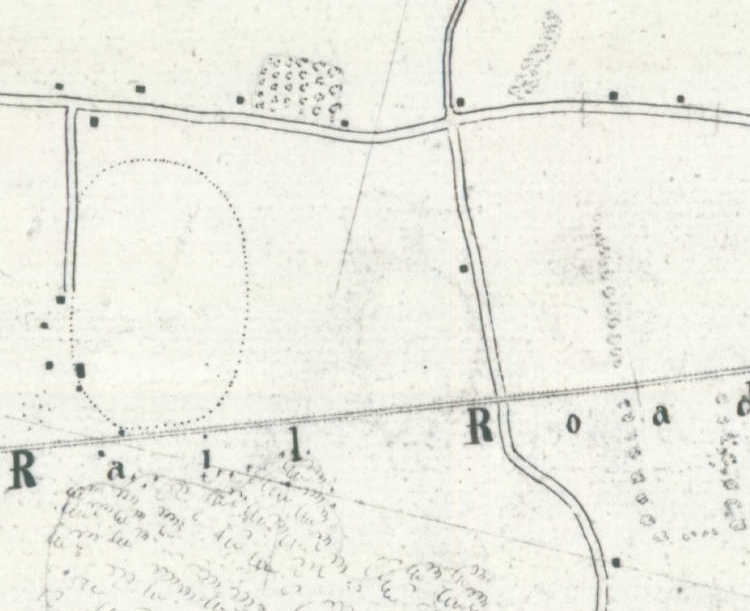 These courses were originally without grandstands. 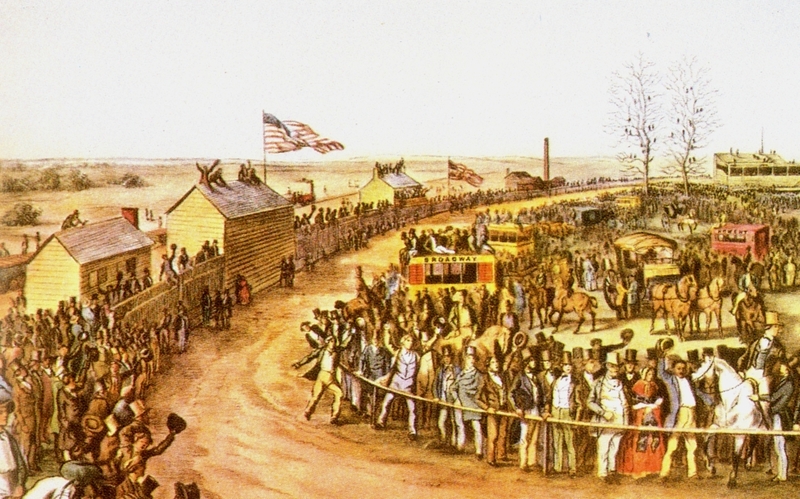 The custom of conducting a single, four-mile (6 km) race consisting of as many heats as were necessary to determine a winner, gave way to programs consisting of several races. 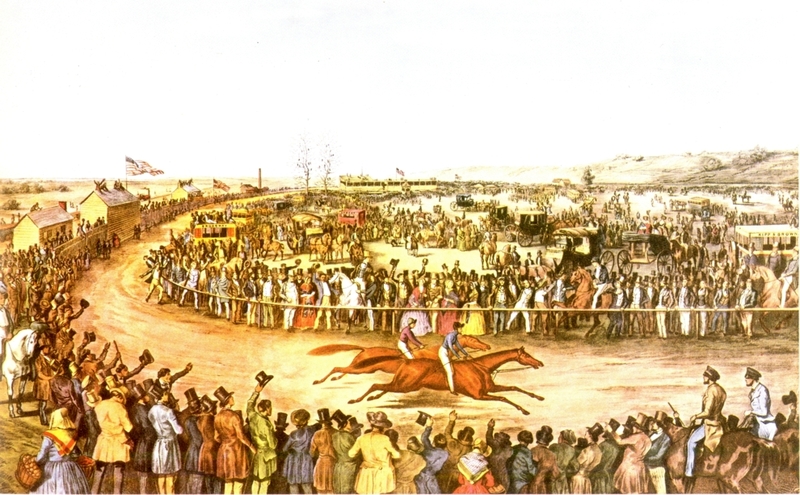 Match races between horses from the South against those from the North drew crowds as high as 70,000. 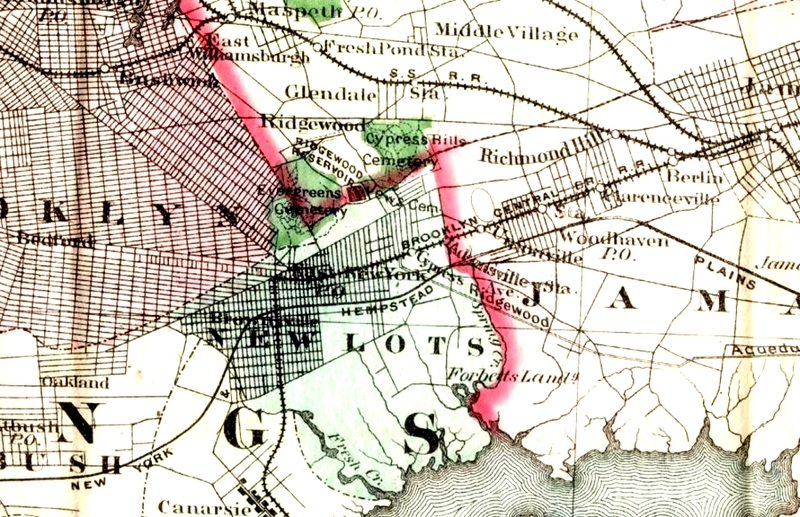 Several hotels (including the Snedeker Hotel and the Forschback Inn) were built in the area to accommodate the racing crowds. 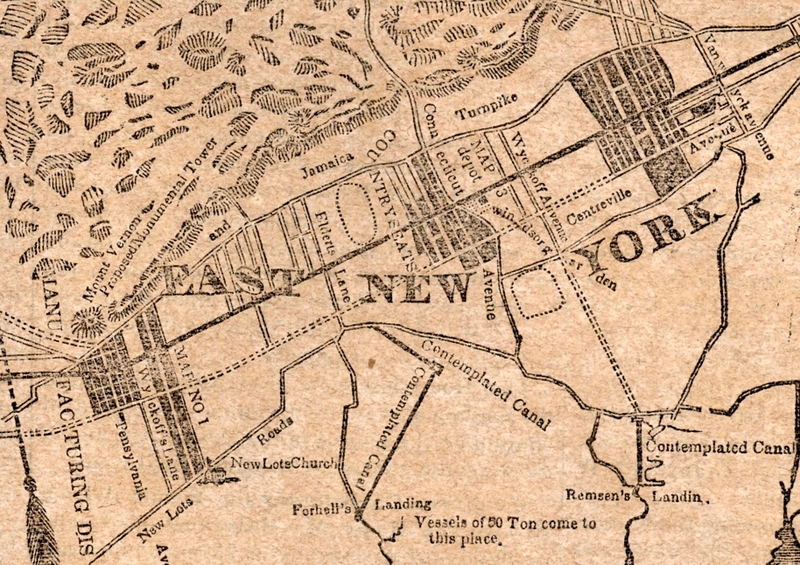 AS EARLY AS MARCH 1837 UNION COURSE IS SHOWN AS A STOP. 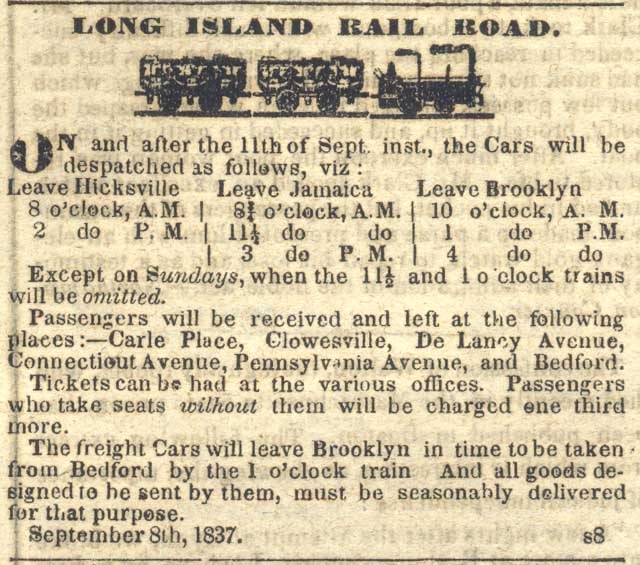 AS LATE AS JUNE 1837 UNION COURSE IS SHOWN AS IS "WYCKOFF'S LANE"
THIS SEPTEMBER 8, 1837 TIME TABLE SHOWS "PENNSYLVANIA AVENUE"
- AND "CONNECTICUT AVENUE" INSTEAD OF UNION COURSE. 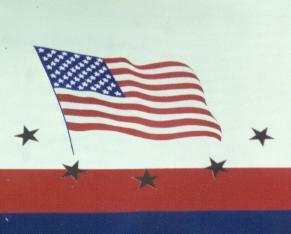 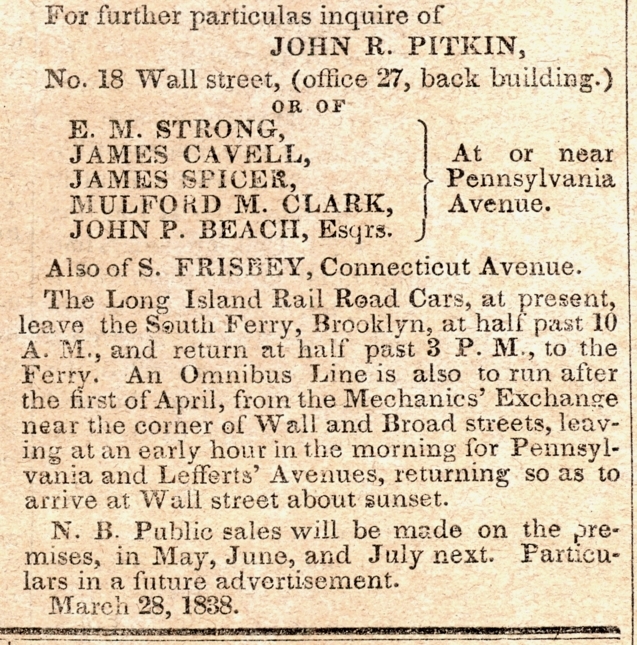 LIBRARIAN, SHOWED THAT CONNECTICUT AVENUE BECAME WOODHAVEN BLVD. 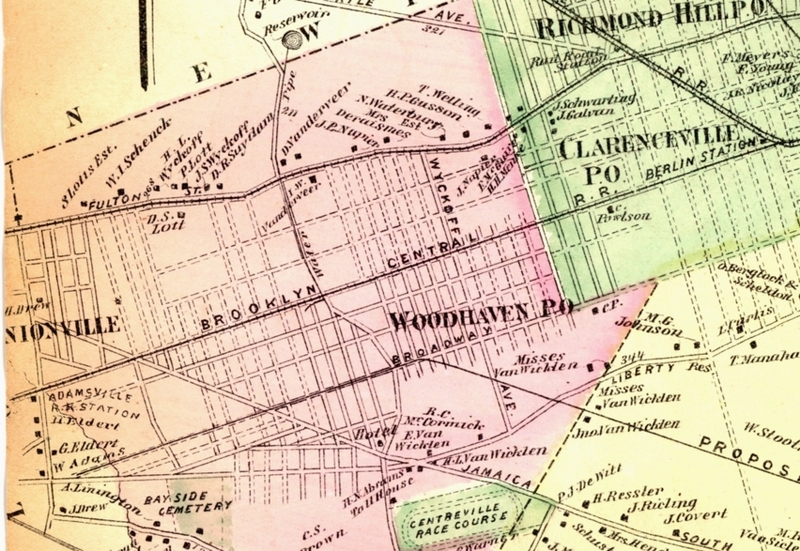 WOODHAVEN AVENUE AND THEN WOODHAVEN BOULEVARD. 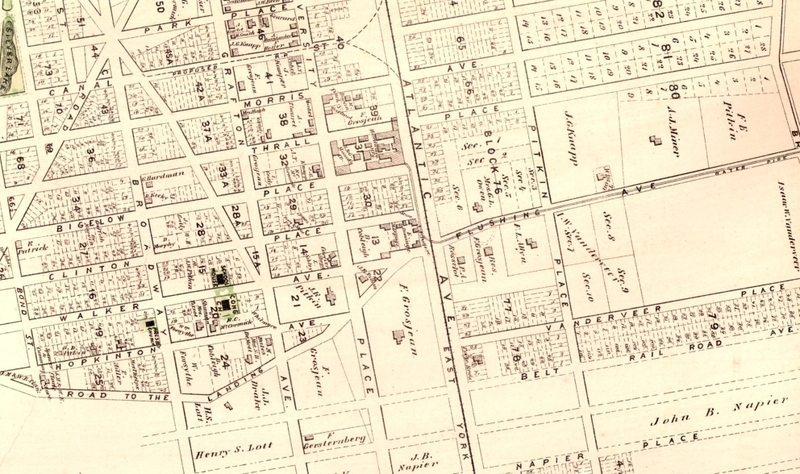 SHOWS WYCKOFF'S LANE, PENNSYLVANIA AVENUE AND CONNECTICUT AVENUE. 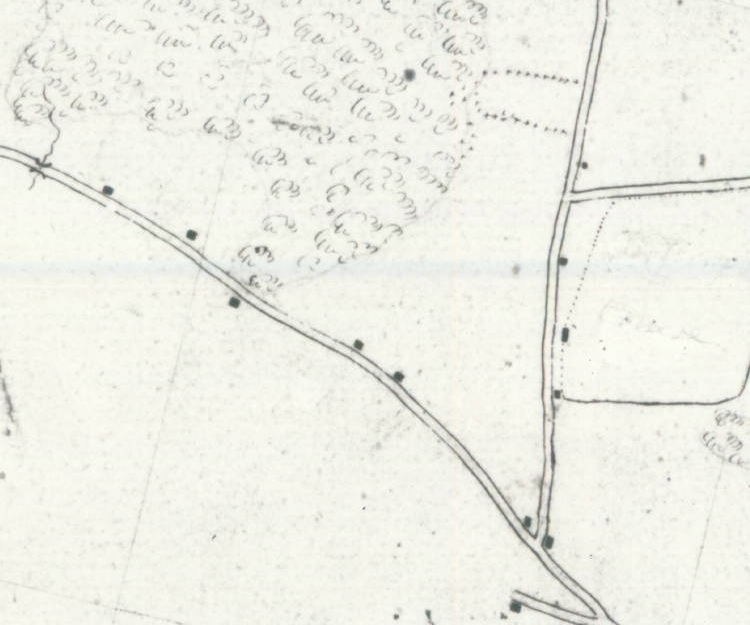 with illustrations, Portraits & Sketches of Prominent Families and Individuals. 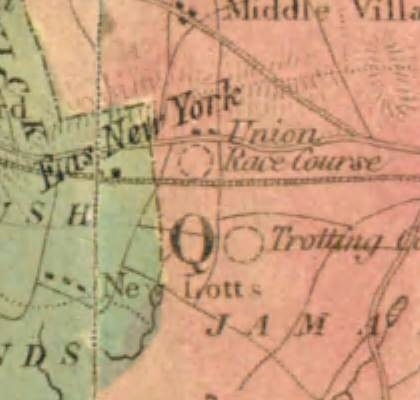 After the passing of an act by the Legislature allowing of trials of speed in Queens county for a term of years, during the months of May and October, horseracing was transferred to the Union course. 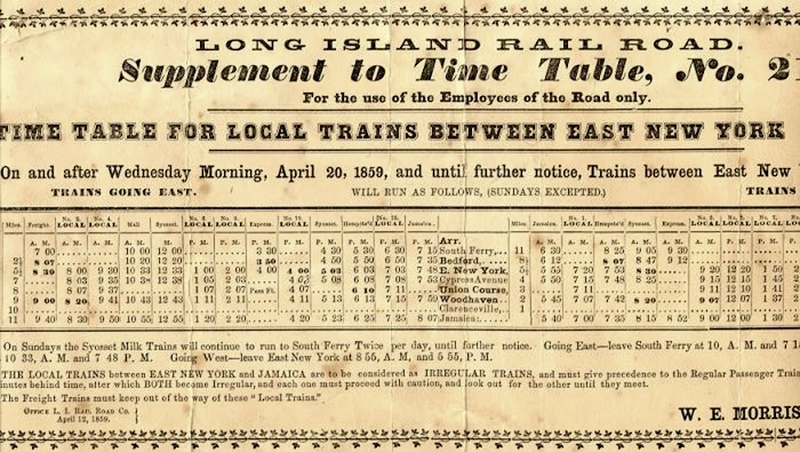 In 1834 the time was extended for "years more, the racing to be between April 1st and June 5th and from September 1st to November 5th yearly". 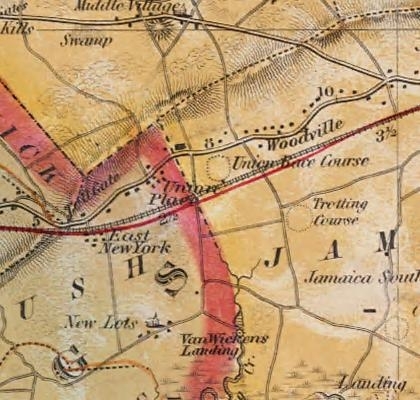 This course, over a mile in circuit, was on a level surface, with a nearly oval track. 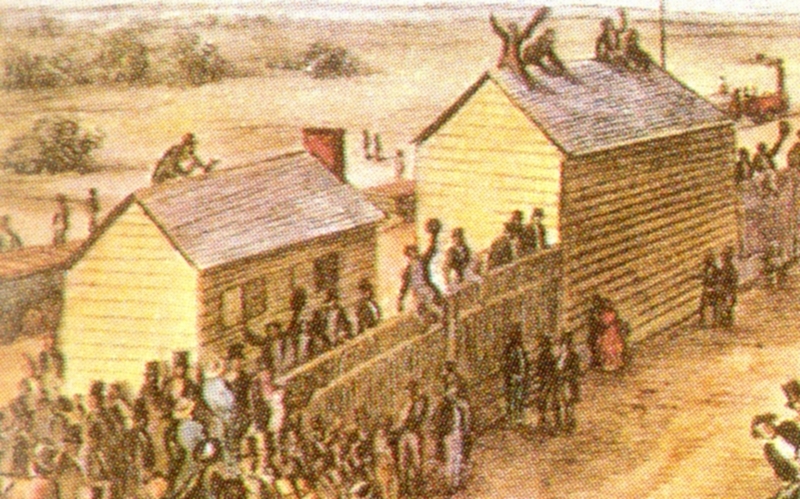 Connected with it was a jockey club of above 250 members, who contributed $20 each yearly to the "jockey club purses." 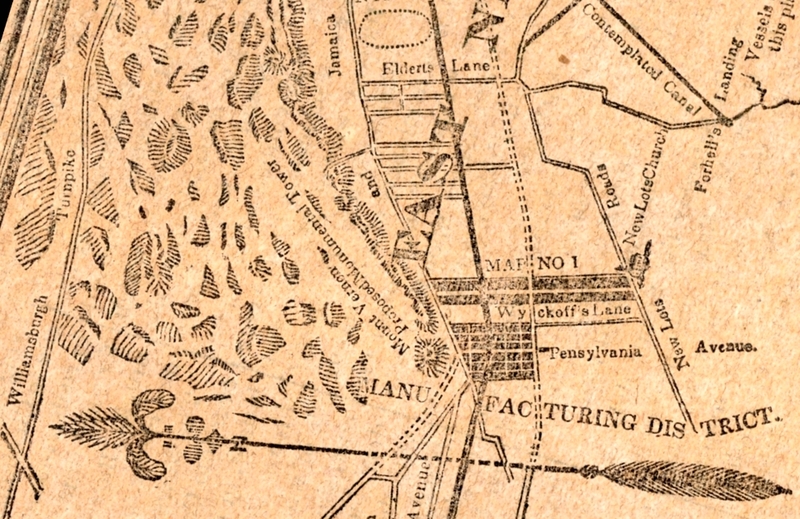 This course was afterward owned by the "Union Association," capital $100,000, formed upon the act of the Legislature of August 2nd 1858. 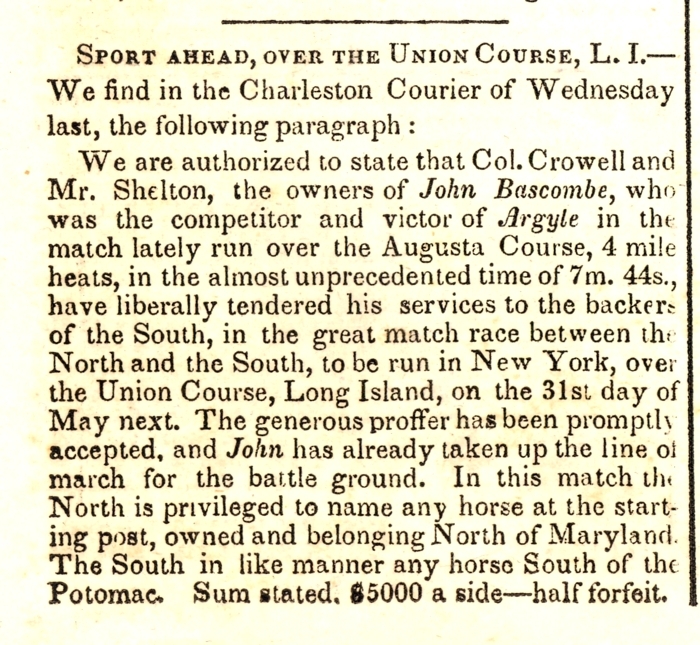 On May 10th 1842 there was another match for $20,000 a side on this course, between the Virginia horse "Boston," 9 years old, and carrying 126 pounds, and the New Jersey mare "Fashion," 5 years old, and carrying 111 pounds. 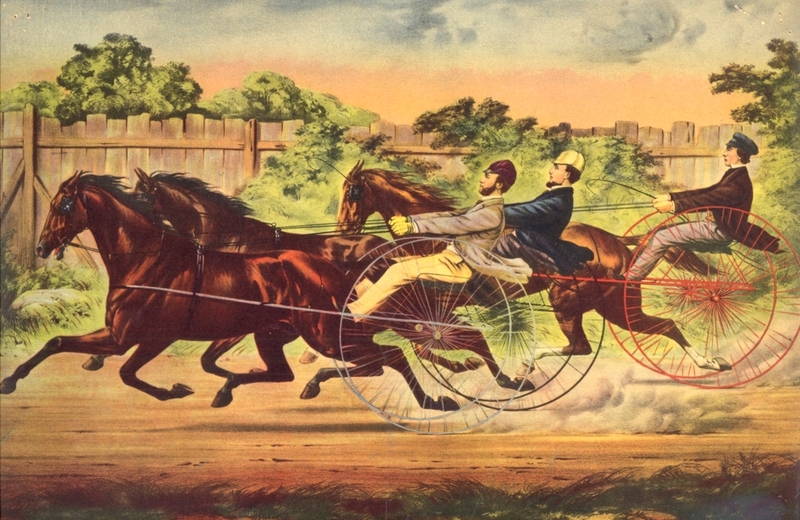 "Fashion" won in two heats. 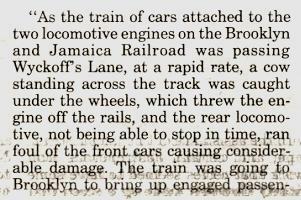 From fifty to seventy thousand spectators were computed to be present, including a great many ladies. 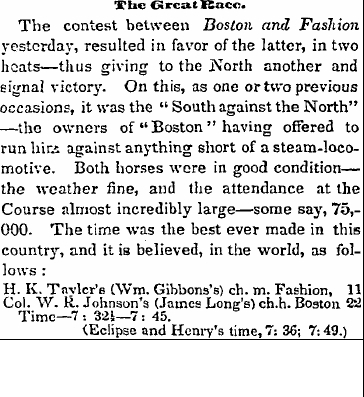 "..... and the attendance at the Course almost incredibly large - some say, 75,000." 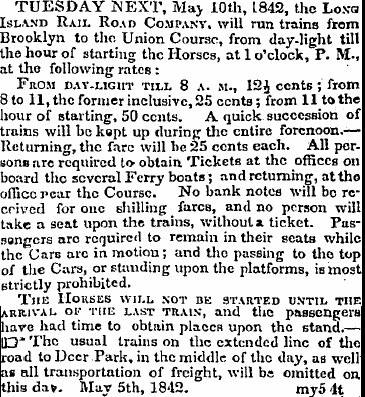 "TROTTING COURSE" AT THE SAME FARE, 18 3/4 CENTS. 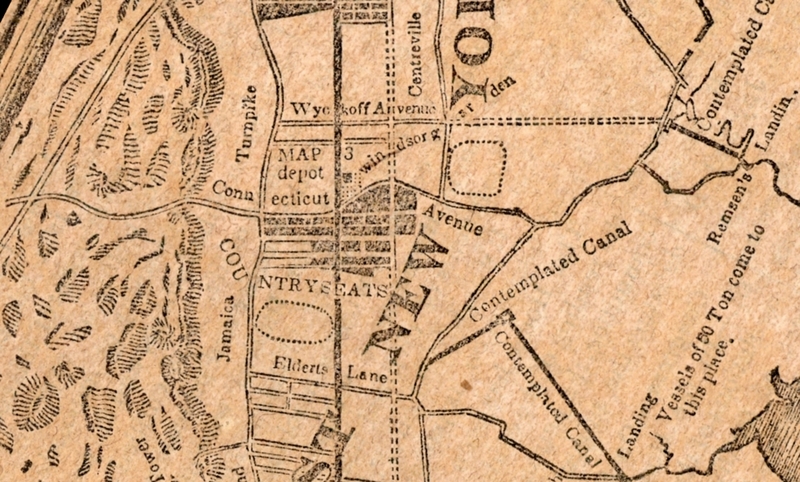 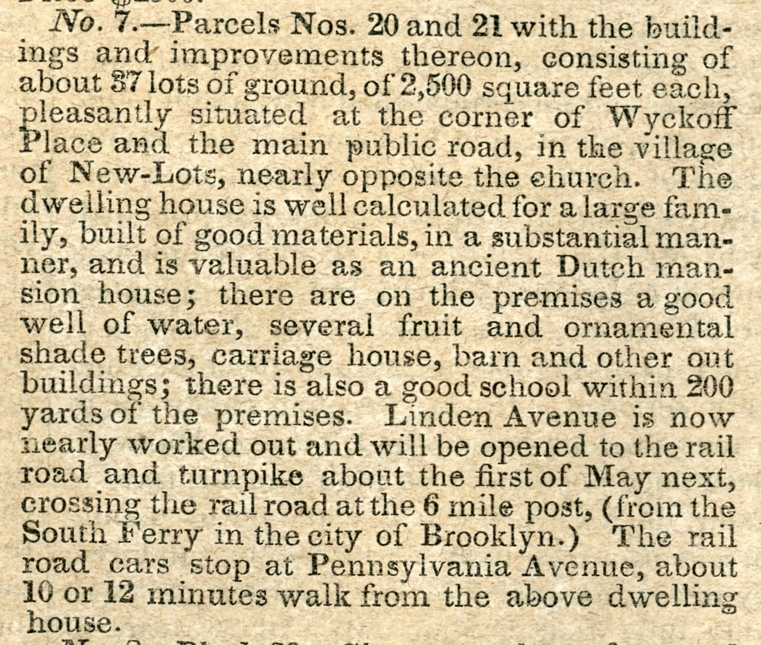 AVENUE" APPEARS AT SEVEN MILES FROM SOUTH FERRY.